Kingfisher Readers L1: Butterflies by Thea FeldmanFrom the scales on their wings to their remarkable talent for camouflage, how they taste (with their feet! 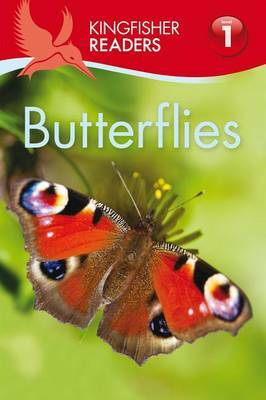 ), how they eat, and their incredible transformation from caterpillar to butterfly, this book takes a fascinating upclose look at butterflies. New words are introduced throughout the text with subtle highlighting-insect, nectar, chrysalis-and a glossary at the back gives the definition. The beautiful photography and the carefully constructed text work together to help new readers decode the amazing information. LEVEL 1 BEGINNING TO READ (red)The language at this level will be short and simple sentences, with straightforward vocabulary and punctuation, a high level of phonic regularity and lots of repetition. Includes simple glossary."